Strawberries are sugar-sweet, irresistible, and omnipresent -- even if you can't pick your own, you'll find pints and quarts of them at roadside stands and red seas of them in the produce aisle. 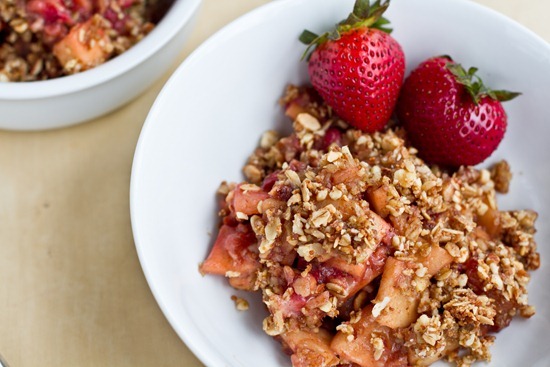 Make this recipe the star in breakfast dishes, desserts, and even salads. In Season: Fresh strawberries are available year-round in many regions of the country, with the peak season from April to June. Directions: 1. Crumble: Preheat oven to 350 degrees. Combine all ingredients in a medium bowl; knead until oil is combined and mixture forms clumps. 2. Filling: Combine all ingredients in another bowl. 3. Transfer filling to a 9-inch pie dish. Top evenly with crumble. Bake until bubbling in center and topping is golden, 35 to 40 minutes. Let cool slightly before serving. There are many reasons to eat more fruits and vegetables. Freeze dried or fresh, it doesn't matter as long as they are prepared in a healthy way! We've created a healthy and delicious range that the whole family can enjoy and even the kids! Our special freeze drying and vacuum frying process means that 100% of the nutrition remains intact. Ever had broccoli crisps? You’ll be pleasantly surprised! Preservative free, all natural, we are guilt free and delicious. For innovation in snacking, you’ve come to the right place. These mini trees are notorious for being pushed off the plates of kids around the world, but broccoli's reputation as one of the healthiest veggies still rings true. If you are trying to eat healthier, cruciferous vegetables like broccoli should be at the very top of your grocery list. If you or your kids are not big fans of broccoli, stay tuned because they will LOVE our Giving Tree Broccoli Crisps! 1. Fighting Cancer Eating a high amount of cruciferous vegetables has been associated with a lower risk of cancer; particularly lung and colon cancer. Studies have suggested that sulforaphane, the sulfur-containing compound that gives cruciferous vegetables their bitter bite, is also what gives them their cancer-fighting power. Researchers have found that sulforaphane can inhibit the enzyme histone deacetylase (HDAC), known to be involved in the progression of cancer cells. The ability to stop HDAC enzymes could make sulforaphane-containing foods a potentially powerful part of cancer treatment in the future. Sulforaphane is now being studied for its ability to delay or slow cancer with promising results shown in melanoma, esophageal, prostate, and pancreatic cancers. 2. Improving Bone Health Poor vitamin K intake is linked with a higher risk of bone fracture. Just one cup of chopped broccoli provides 92 micrograms of vitamin K, well over 100 percent of your daily need. Consuming an adequate amount of vitamin K improves bone health by improving calcium absorption and reducing urinary excretion of calcium. 3. Looking Younger The antioxidant vitamin C, when eaten in its natural form (in fresh produce as opposed to supplements) can help to fight skin damage caused by the sun and pollution, reduce wrinkles, and improve overall skin texture. Many people automatically think of citrus fruit when they think of vitamin C, but did you know that broccoli provides 81 milligrams in just one cup? That is more than what you need in an entire day. 4. Improved Digestion And Natural Detoxification Eating foods with a natural fiber like broccoli can prevent constipation, maintain a healthy digestive tract, and lower the risk of colon cancer. Adequate fiber promotes regularity, which is crucial for the daily excretion of toxins through the bile and stool. Recent studies have shown that dietary fiber may also play a role in regulating the immune system and inflammation. 5. Protection From Chronic Disease According to the Department of Internal Medicine and Nutritional Sciences Program of the University of Kentucky, high fiber intakes are associated with significantly lower risks of developing coronary heart disease, stroke, hypertension, diabetes, obesity, and certain gastrointestinal diseases. Increased fiber intake has also been shown to lower blood pressure and cholesterollevels, improve insulin sensitivity, and enhance weight loss for obese individuals. 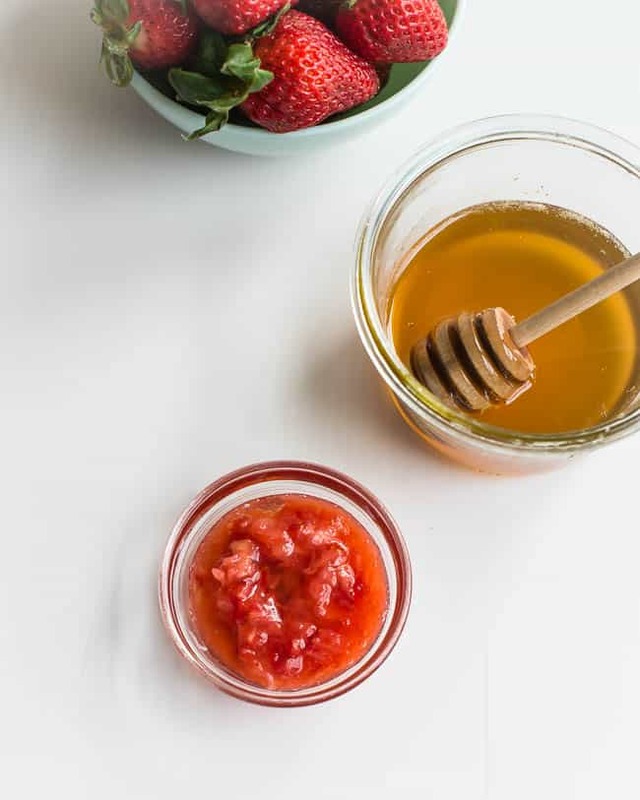 If you're suffering from dry or mature skin, this face mask combines the exfoliating power of strawberries with the moisturising benefits of honey. Combine 5 mashed strawberries with 1 tablespoon of honey and lemon. Apply the mixture to your face, avoiding the eye area. Rinse mask after 15 minutes and follow with moisturiser. Your skin will feel so dewy and refreshed! Cut up the strawberries into fine pieces and place on a paper plate. Using a fork, smash the strawberries to excrete the juice. Do this until the strawberries are of a mushy consistency. Pour pulpy strawberry mixture into a bowl. Firmly squeeze your lemon wedge into the bowl and add your tablespoon of organic honey. With a spoon, stir quickly until all of the ingredients have combined together. You can also use a whisk to bind the ingredients together. If you’re mask is looking a bit too liquidly for your liking, add some more honey and stir again. If the mask is too thick for your liking, add more strawberry and lemon juice, and mix. You’ll want to use this mask immediately because the ingredients are most potent within minutes of mixing them together making the benefits the strongest. You can either refrigerate for 10 minutes prior to applying so that the mask is cold and thus will feel more soothing on the skin, or you can apply straight from the bowl. Leave on skin for 7-12 minutes. Wash off with tepid water. Dispose of the any remaining mixture. You can use this mask 2 times a week but you must make a fresh mask for each application. See the capital transformed into a sparkling winter Wonderland in December, and join in the New Year's Eve festivities. 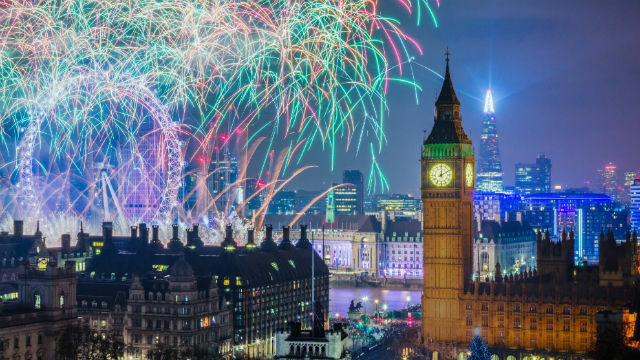 December is the most magical month to visit London, with lots of festive things to do as Londoners celebrate Christmas and New Year. This strawberry coconut smoothie is like spring in a glass while it is winter and really cold outside. It's sweet and creamy with no added sugar or dairy. And it's super simple with just four ingredients. 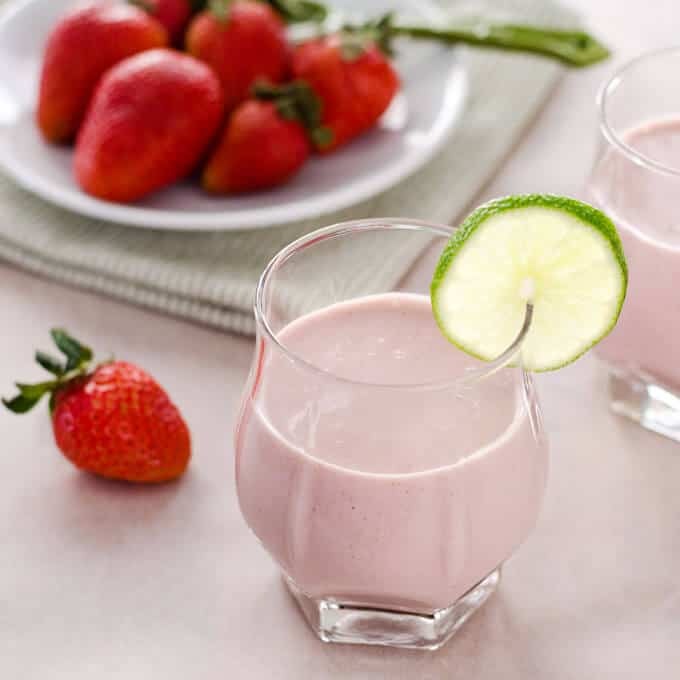 We love the sweet strawberries and cream flavour of this smoothie. The touch of vanilla makes it taste like ice cream—and it reminds me a strawberry milkshake. 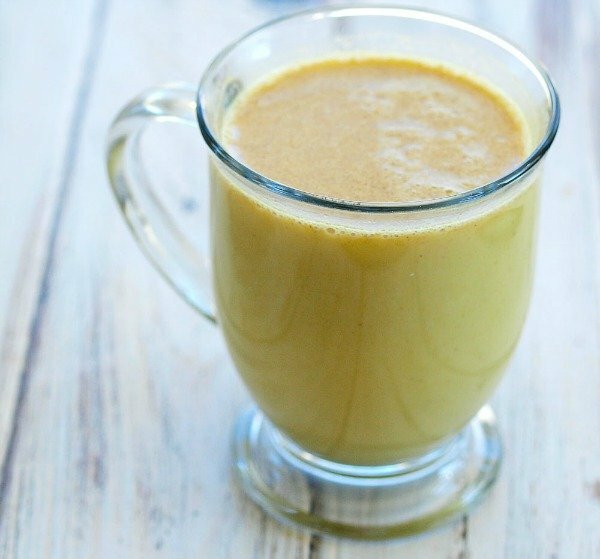 We use Dairy Free coconut milk so this recipe is dairy free ! Coconut oil is well known for being a great facial moisturiser. Much like a shop-bought moisturiser or cream, the oil’s goal is to hydrate the skin and thus leaves the face feeling softer almost immediately. However, if you have particularly acne-prone skin it may be better to opt for an oil-free hydrator instead. Suki Waterhouse told beauty blog ‘Into the Gloss’ in 2014 that she adores using coconut oil on her face: ‘I love coconut oil, so if I come home at night feeling all dry and like a fossil I’ll put my hand in a jar of coconut oil and just mush it over my face.’ If it works for Suki, it works for us! Make Your Own Coconut Bath Melts At Home! Get dewy, supple skin with these moisturising , 2-ingredient bath melts. Made of completely organic ingredients, a luxurious bath is only 30 minutes away. Nothing relaxes like a hot bath after a stressful day. Baths soothe aching muscles and create an overall sense of calmness. But hot baths can be drying to the skin, drawing much needed moisture out of the body. Instead of adding mineral oil-based bath products that often contain artificial fragrances and colours, stick to your pantry and make these quick bath melts with organic ingredients. These melts are antibacterial and anti-fungal, making them ideal for use on the entire body and safe enough for the face without clogging pores. Total Time: 15 mins (Cook time: 5 mins/ Prep Time: 10 mins) Serves: 15 bath melts. Using a tablespoon, pour mixture into silicone ice cube moulds. Place in refrigerator for at least 20 minutes or until solid. Pop out and melt under warm water in bath. When you consume delicious and succulent mangos every season, you probably don't thunk about the immense health benefits coming with every bite. Mango is known as the king of fruits. Beyond the sweet, luscious taste of mangos, they also contain an abundance of vitamins, minerals and antioxidants that assure your optimum health. Mangos have high amounts of pectin, a soluble dietary fiber that efficiently contributes to lower cholesterol levels in the blood. Pectin can also help to prevent developing prostate cancer. Mango consumption is one of the easiest ways to gain weight. 150g of mango has around 86 calories, which can be absorbed easily by the body. Moreover, they contain starch, which transforms into sugar and aids in gaining weight. Mango milkshakes will accelerate the process of gaining weight since they also contain milk, and are notoriously delicious! Mangos play a prominent role in eliminating problems such as indigestion and excess acidity. The digestive enzymes in them help to promote natural, efficient digestion. The bioactive ingredients in mangos like esters, terpenes, and aldehydes contribute in enhancing appetite and also improve the function of the digestive system. Mangos are rich in iron, which makes them beneficial for people suffering from anemia. A regular, moderated intake can help eliminate anemia by increasing the red blood cell count in the body. Mangos are beneficial for pregnant women since they fulfil the iron requirements during pregnancy. Doctors often prescribe iron tablets during pregnancy, but instead of supplementation, you can enjoy a healthy iron-rich diet with juicy mangos. The taste buds during pregnancy usually lose some of their sensitivity, so mangos will surely prove to be the delight of your day, more than just its health benefits. Perhaps you are surprised to know that mangos are closely related to skin care. Other than bringing a healthy glow to your face, they also help to lighten skin color. You can easily enhance your beauty by including this tasty fruit in your diet on a regular basis. Mangos have abundant quantities of vitamin B6, which is vital for maintaining and improving the brain’s function. These vitamins aid in the amalgamation of the major neurotransmitters that contribute in determining mood and the modification of sleeping patterns. They naturally provide significant quantities of this vitamin. With mangos as a part of your diet, you can be assured of a healthy brain and effective nerve functioning. You will also be avoiding medicinal supplements, which have a long list of side effects. The glutamine acid content in mangos also improves concentration and memory. As mentioned earlier, similar to carrots, mangos are rich in beta-carotene, a powerful carotenoid. This element helps to enhance the immune system and make it impervious to bacteria and toxins. Excess beta-carotene is also transformed into vitamin A inside the body. Vitamin A is another antioxidant that gives you additional protection against the free radicals harming your internal systems. Thus, mangos are a great choice to add to your regular diet. Further research is still ongoing, but some studies have already revealed that mangos are a great natural remedy for diabetes. It was a long-told myth that diabetics should avoid mangos because of the sweet taste; now it is being shown that other than the fruit, mango leaves are also helpful in curing diabetes. Place 10 or 15 mango leaves in warm water and close it with a lid before going to bed. In the morning, drink the water on an empty stomach after filtering the leaves. Regular practice of this method has shown positive results in the management of blood sugar levels of diabetics. We think that winter is a great time and season for creativity and new beginnings. Whether you’re wrapped in a blanket on your couch or out playing in the snow, working behind a desk, there’s wintry inspiration all around us, and there will be always something to share with our lovely readers! These are the hot drinks we favour at this time of year: soothing chocolate for gentle evenings at home and a warm spiced almond milk for when you feel a little under the weather. Bash the cardamom pods in a pestle and mortar and put them into a small saucepan with the milk, turmeric and cinnamon. 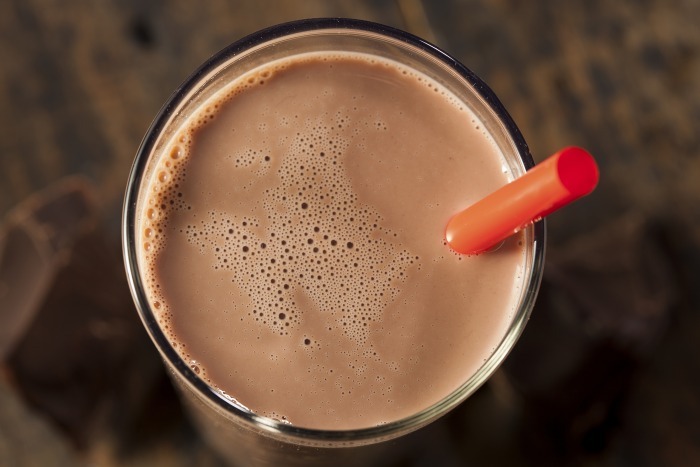 Heat gently until almost boiling, no hotter – if you are using a non-dairy milk, it may split. Pour into a mug – or strain it if the cardamom seeds bother you – and, once it has cooled a little, stir in the honey. Make sure you don’t spill any, as the lovely yellow colour can be rather persistent. Honey And Camomile Hot Chocolate. Heat the milk in a saucepan with the camomile teabag. When it is just about to boil, reduce the heat and simmer for a couple of minutes. Take off the heat, remove the teabag and add the chocolate and honey. Ladle into cups and pop on to a little tray for bedtime.